The Cereal category was facing a decline in sales and Nutri-Grain wasn’t immune With sales dropping over the pasty 5 years the objective was clear to increase Nutri-Grain sales. With over 50% of sales of Nutri-Grain driven by teen requesting the product from their Mums, we needed to focus on teens and make the brand relevant to them again. Research showed teens spend a significant amount of time on their mobiles and in the social channels of Instagram and Facebook. Our strategy was to create a campaign that leverages their existing social behaviours, taps into their passion for sports and fans their competitive spirit. We created Throwdowns – a social sports tournament that that allows teens to compete against themselves, their mates and the wider community in a series of fun based activities set by Nutri-grain. 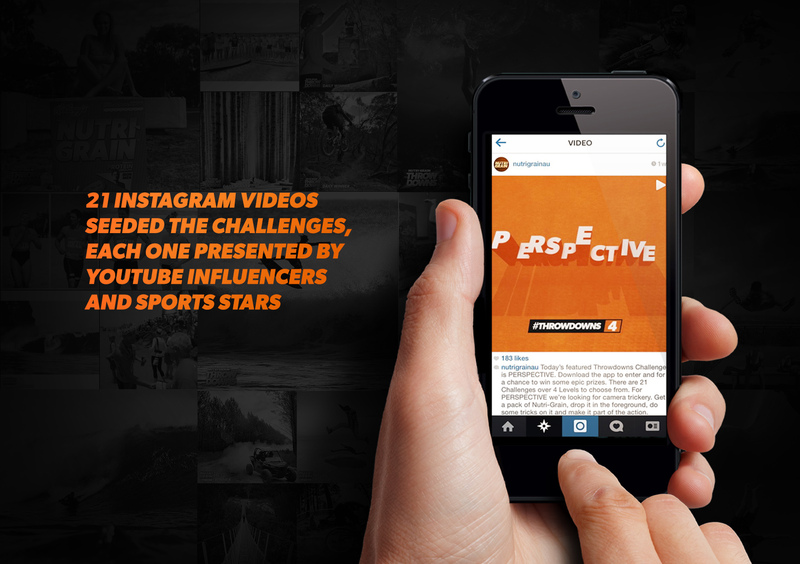 The challenges are set by sports pros and social influencers to drive earned reach and participation. We included the physical product itself into the competition, with several of the challenges requiring the product for completion. The Throwdowns campaign exceeded every KPI set by the client and agency, with particular success in earned impressions, the best measure of a campaign’s reach to a relevant and targeted audience, and sales, which increased a massive 10% on the previous period. 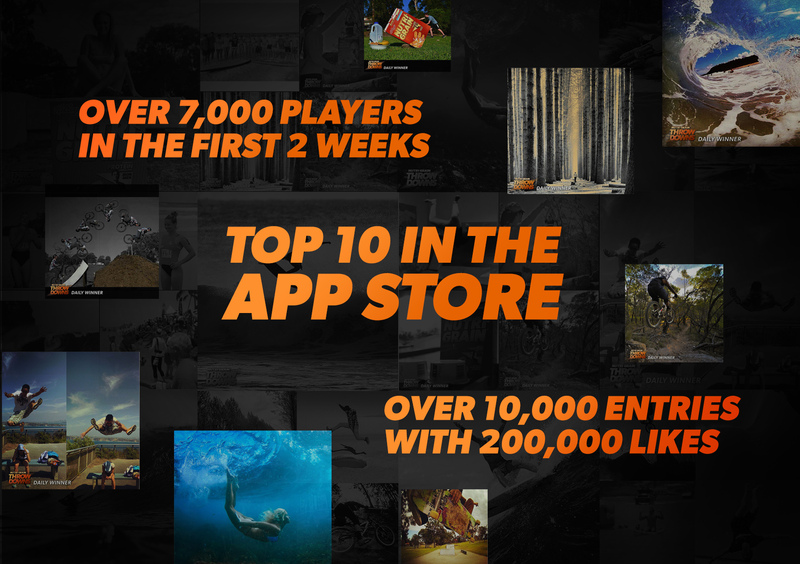 Total downloads of the app reached 17,500, making Throwdowns the #4 sports app in the app store. Users created a total of over 6,500 photo and video entries, spending a total of 2,853 hours in the app itself.